Real-life couple Feng Shaofeng and Ni Ni will appear as lovers in their upcoming movie (to be released on the 12th! ), 我想和你好好的Love Will Tear Us Apart. 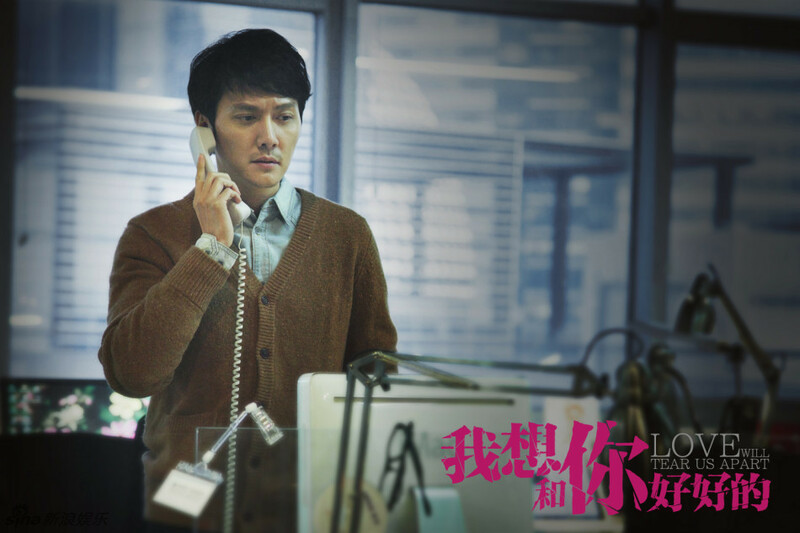 In a meeting between a broken down car and a Lamborghini, white collar worker Jiang Liangliang (Feng Shaofeng) and his young girlfriend Miao Miao (Ni Ni) meet for the first time. Miao Miao is a lovely and whimsical girl, whiile Liangliang’s gentleness allows them to enter a honeymoon stage, where love pours like a river. The two live together and share a pleasant, sweet life, but Liangliang secretly meets up with an “ex-girlfriend,” exchanges ambiguous texts with a female co-worker, goes to a nightclub with his friend, and gives Miaomiao great feelings of insecurity. She thinks of everything she can to control Liangliang’s movements, but Liangliang is unable to withstand such “limitations,”and Miaomiao ultimately disappears with her mad love*(mad is their description, not mine…) Ten years later, Liangliang still has his cellphone from that year. One morning, he wakes up to receive a call…Stills below the cut. The theme song,”Ruse of the Empty City” is by Han Han and comes along with a very dramatic MV. It’s a nice song, though. 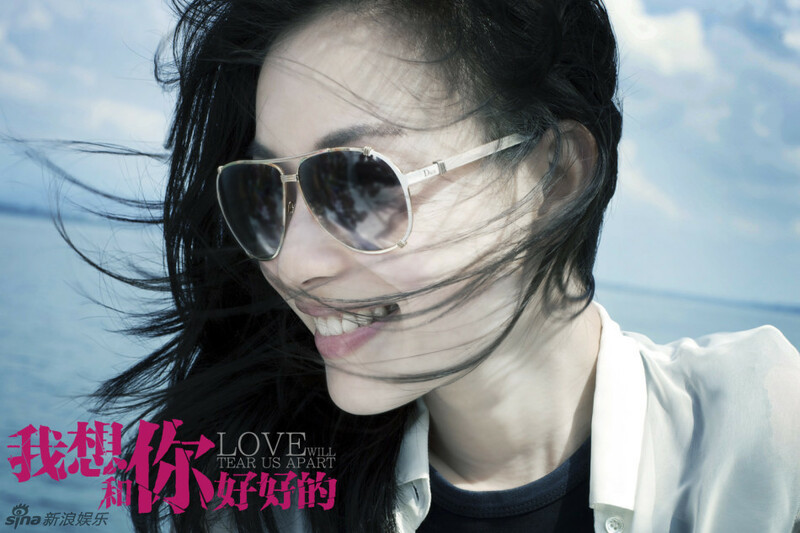 This entry was posted in Movies and tagged Feng Shaofeng, Love Will Tear Us Apart, Ni Ni by jjss08. Bookmark the permalink. I think I would’ve enjoyed the MV more if they weren’t talking all the way throughout it. T_T” And lol, I think it’s funny how the different titles sound contradictory. Thanks, much better without the voice-overs now!